We hope you enjoy your time visiting the Woodturner PRO Community. While you're here, please visit our Forum and Photo Gallery. To quickly understand what Woodturner PRO can do for you, please visit our video tutorials page and watch the Introduction to Woodturner PRO video. Finally, please register for our Newsletter. We will infrequently let you know what we're up to and you can unsubscribe whenever you like. Innovative products designed by us and others makes tasks such as cutting segments, aligning rings, gluing and assembling vessels easy, safe and fast. Our exensvie forum and photo gallery is a great way to ask or answer questions and showcase your creations. Each member gets their own photo gallery.. I would like to thank you for the very quick support you gave me and I would recommend your software to any of my woodturning friends. I've used all of the segmented software solutions and yours is certainly the most powerful and easiest to use. I'm amazed that I can make so many designs just by clicking the mouse button in Lamination PRO. I learn so much from your video tutorials. I'm always looking forward to your next one! 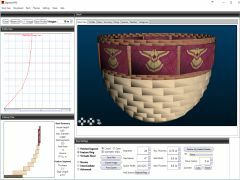 Segment PRO is a totally new way to design segmented vessels in 3D. 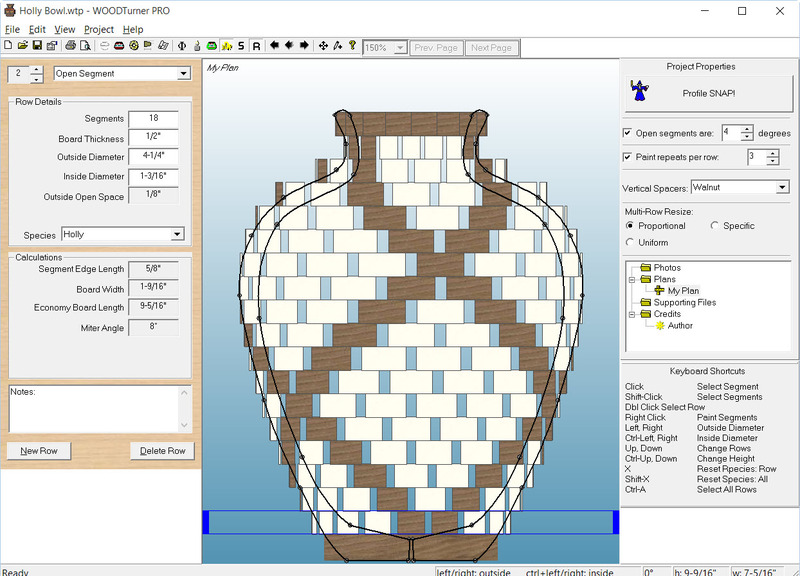 You simply select a wall profile or draw your own and your segmented bowl is created for you. Single keystrokes allow you to change bowl properties such segments per row, row thickness, etc. Segment PRO is for users that are new to segmenting and for those with limited computer skills but has features and capabilities that will satisfy the needs of professional segmenters. Our flagship product, Woodturner PRO lets you add segmented rings such as closed and open segments, staves and compound segments. 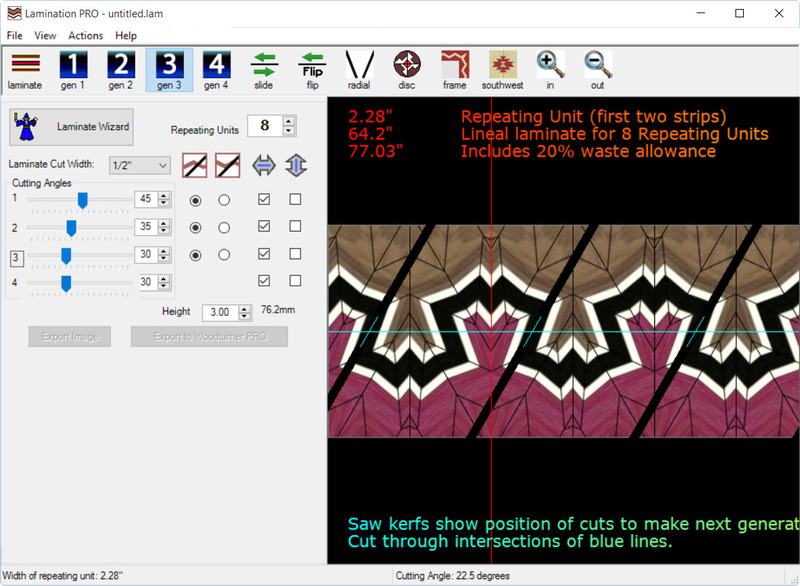 Simply add rings until you've reached the height of the wall profile and a single click of ProfileSNAP will cause all the outside and inside diameters to snap to the wall profile. Now begin the powerful process of decorating the vessel. Lamination PRO uses the technique of multi-generation laminations to create simple designs such as a 1st generation chevron pattern to very complex 4th generation designs. These laminations can be used to create feature rings which can be transferred to Woodturner PRO or further processing to make disks, Southwest-style designs or frames. Mouse clicks are all you need to use the software. 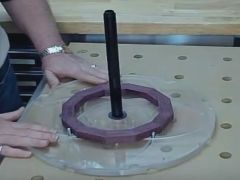 The Stomper is a simple but innovative method for stacking segmented rings or positioning open segments that allows accurate alignment while preventing slippage during gluing. It uses Longworth Chuck and plunger technology for closed segment rings and plastics-based plates for positioning open segments. Simply stated, it is a fast, fun and funky approach to assembling segmented vessels.